5.3 Pull Test : Tube has the capability of load 6.0 kgf-cm in a vertical position within 30 seconds. 5.4 Torque Test : 6.0 kgf-cm no damage happened. 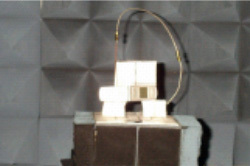 5.5 Side load Test : Antenna must with stand four 6.0 kgf-cm side loads applied at 90° After each load. be damaged or pulled out of the assembly or from the housing. 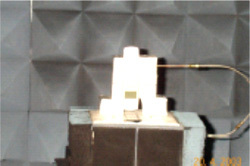 5.6 Drop Test : Antenna 6 times up-side down form 150 cm height onto a concrete floor. Antenna shall be electrically and mechanically functional.